In its participation in the 2017 Vistage Global Full Value Member Survey, Vistage Malaysia pledged to allocate RM10 per respondent to support the World Vision Malaysia 30-Hour Famine. Out of 635 surveys sent, Vistage Malaysia received 497 responses with 95% ± 1.6% confidence level. 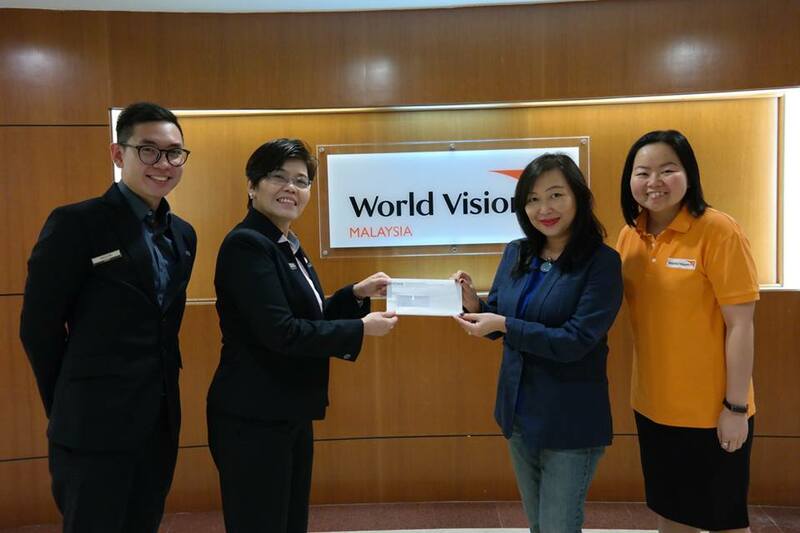 Vistage Malaysia’s Associate Director – Business Development, Ms. Tew Bee Lay and Executive, Mr. Issac Ng presented a cheque of RM5,000 to World Vision Malaysia’s Head of Resource Development, Ms. Winnie Khor and Assistant Manager of Campaigns Team, Ms. Ninian Tian. To fulfill its pledge, Vistage Malaysia’s Associate Director – Business Development, Ms. Tew Bee Lay and Executive, Mr. Issac Ng recently visited World Vision Malaysia and presented a cheque of RM5,000 to World Vision Malaysia’s Head of Resource Development, Ms. Winnie Khor and Assistant Manager of Campaigns Team, Ms. Ninian Tian. The contribution will be channeled towards Livelihood and Health & Nutrition projects that aim to improve the well-being of children and families in need in India, Lesotho, Malaysia and Myanmar. As part of Vistage Malaysia’s CSR, we strongly believe in contributing back to the society and to those in need.